CT2588 - Bottle opener, cork release & pocket clip. Teflon coated corkscrew & micro serrated foil cutter. 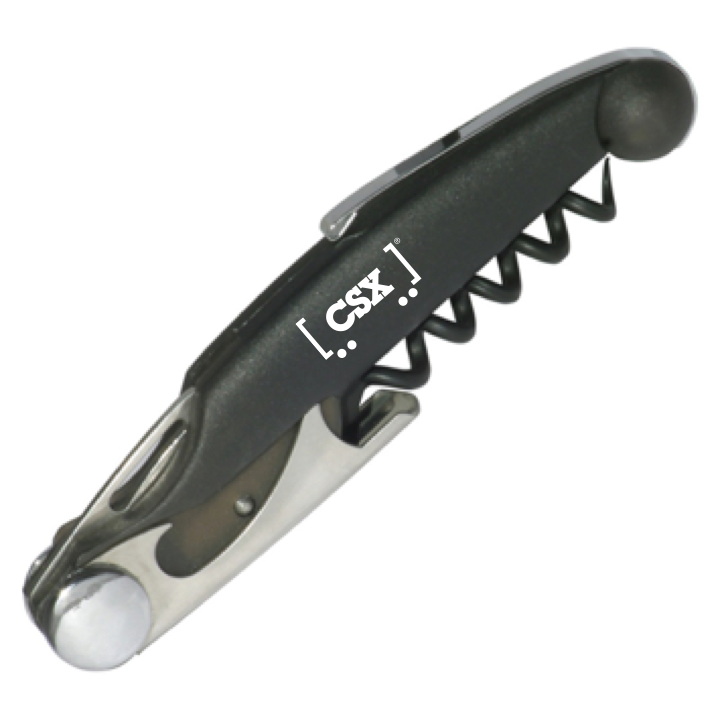 Black with a white CSX logo.